B2B Connect to Convert moves to Boston in 2018. Got B2B marketing knowledge and skills to share? Apply now to be a speaker at B2B Connect to Convert 2018, Oct. 3-5. This year, the show moves to a new location, the Westin Boston Waterfront. We’re excited to bring three days of B2B education and networking to the Hub. 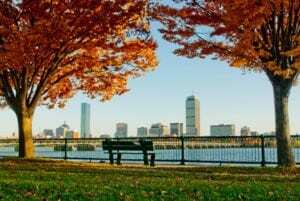 It’s a beautiful time of year to visit the city and learn about the latest techniques for improving your B2B marketing ROI. B2B Connect to Convert is three days of intensive sessions focusing on every point in the B2B sales funnel, from lead generation and nurturing to conversion and retention. 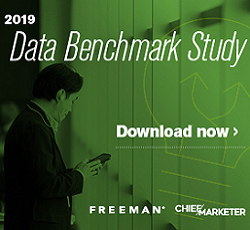 We’ll share what you need to know to get ahead of the competition in data strategies, email, customer engagement, martech, sales/marketing integration and much, much more. Last year’s stellar line-up of speakers included Katie Martell, Tim Washer, Nancy Harhut Gary Skidmore and many more, representing a galaxy of great brands such as Firestone Building Products, Cisco, ADP, Avnet, Iron Mountain, Pitney Bowes, GE Capital, Whirlpool and more. Apply now for the chance to add your name to our esteemed faculty. Think you have what it takes? The call for speakers is open until April 27. Apply now to join us in Boston this October!